Pure Jali is an all-natural skincare and haircare range based on aboriginal medicine. Our Proprietary Botanical extract has been designed around the natural healing benefits of the Eucalyptus leaf. All our products help to treat skin conditions like: Psoriasis, Dandruff, Eczema, Acne. They don’t cure these skin conditions just help treat them. We are Certified Organic and 100% Cruelty Free and Vegan. Our products are also 100% Australian made and owned. We use Locally sourced ingredients. Our products are not safe for use during pregnancy, but are safe for kids ages 2 and over. Pure Jali was formulated by David Buranjali and designed around the Natural healing benefits of the Eucalyptus leaf. Extracted in such a way that removes the scent but retains all the natural healing benefits. Our range of skincare and haircare was built using ancient blends and ingredients Indigenous Australians have been using for centuries.We use native plants and herbs to create these botanical blends that effectively treat skin conditions. David Buranjali had been treating peoples’ conditions including eczema, dermatitis, psoriasis and sensitivities using these botanical blends for over 50 years. His knowledge, heritage and skills have now been fused into an innovative and beautiful brand, Pure Jali. The Eucalyptus has many medicinal properties, as it is a natural anti-inflammatory, anti-bacterial and antiseptic. It naturally cleans pores and fights acne – regardless of age or area (face, back or neck). For the hair, it removes dead skin cells, fights dandruff and adds a natural shine. 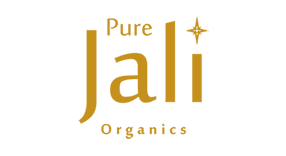 The Pure Jali Organic product range now gives people access to these unique, ancient blends in the form of beautifully packaged products that are coloured to reflect the Australian flora. The product line includes a hand-cream, 2 body lotions, a body wash, a shampoo and a conditioner. Using certified organic and natural ingredients, pure Australian essential oils that are free from all harsh chemicals, sulphates, parabens and mineral oils. The products are vegan friendly, cruelty free and 100% Australian made and owned.